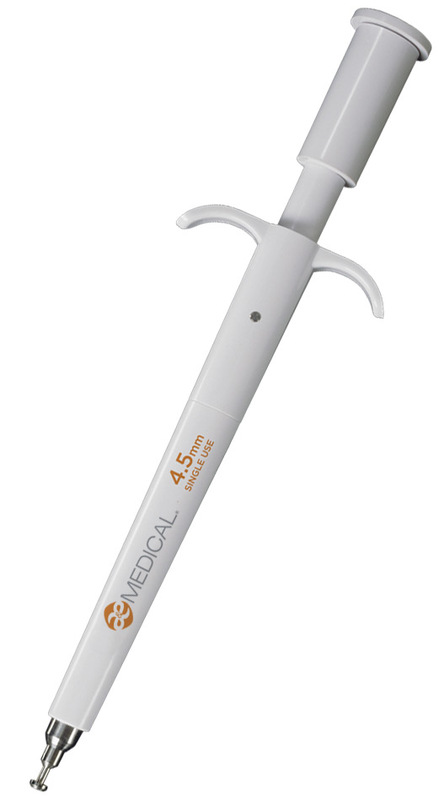 Designed for precise, clean, and round incision through a full 90-degree rotation of the distal tip. Two scalpel-sharp cutting surfaces and a smooth cutting action reduces tissue trauma while creating a uniform incision and providing an ideal opening in soft tissue. The syringe style grip provides comfort and control while offering excellent visibility of the operating field. Designed to cut a clean and round hole. Hollow cutting tip with 10-degree undercut moves tissue away from inside edge of hole. Full 90-degree rotation creates a clean, circular hole. Syringe-style grip for comfort during use. Low profile cutting tip for easier entry.